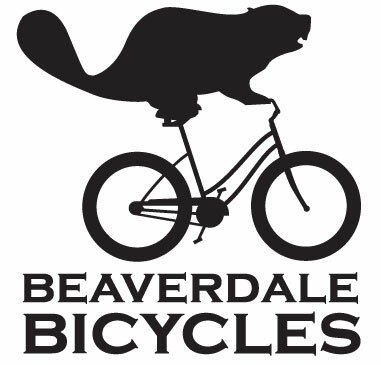 Beaverdale Bikes is a shop in Beaverdale specializing in Adventure cycling, commuting, touring, wheel-building, custom-built bicycles and especially Dyno hub and wheel builds.They chose Arkel panniers for the same reason many "Iowa Baggers" do... They are the best dang panniers on the planet! They also carry Schmidt and other dynamo hubs for all your lighting needs and have built wheels and dyno set-ups for some of the most well-known adventure cyclists in Iowa and your every day commuters. Life-cyclists, Ed and Jen own the shop. They also own T-Shirt Graphix out of the same location. T-shirt Graphix has been printing all the BIKEIOWA t-shirts since 2001! 12/15/2018 Events Beaverdale Holiday Lights Bike Ride- DO OVER!! 1/22/2017 News THANKS to all who came to visit us at the Iowa Bike Expo!